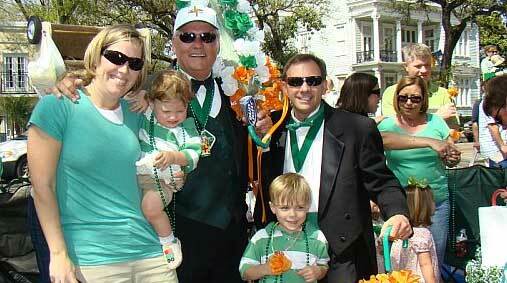 The Irish Channel Parade starts on Magazine & Felicity at 1:00p.m. The parade follows Noon Mass at St. Mary's Assumption Church and is returning to a previous route following the completion of road construction on Louisiana Ave. The parade marches from Magazine St. to Jackson Ave., to St. Charles Ave., to Louisiana Ave., to Magazine St., and ending after turning riverbound on Jackson Ave.